Country star Shania Twain's husband Frédéric Thiébaud started off as just a friend, but unforeseen circumstances led to so much more! Who is Shania Twain marred to is a common question and the quick answer – Shania Twain husband is Frédéric Thiébaud. Learn more about her current husband and second marriage for Shania below. 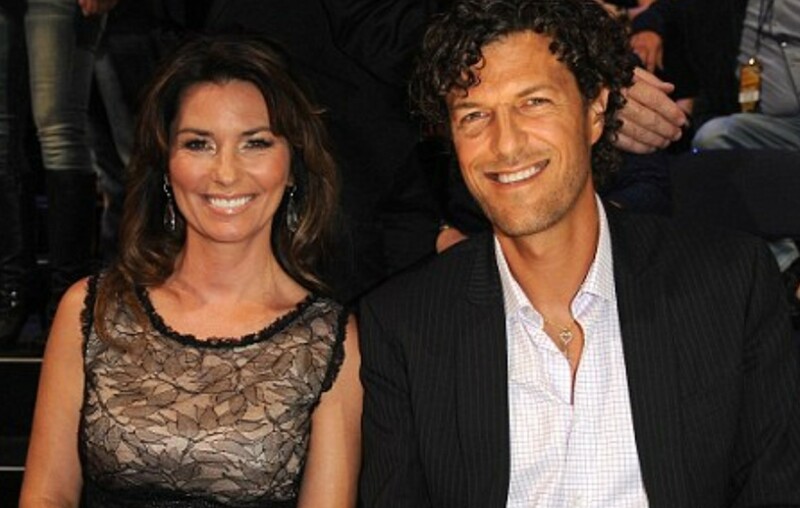 Shania Twain and husband of seven years Frédéric Thiébaud have a rather unusual love story. You see, the pair got together after divorcing their respective spouses, Robert “Mutt” Lange and Marie-Anne Thiébaud, who had allegedly carried on an affair together. What made matters even worse and more complicated was the fact Marie-Anne was also Shania’s best friend and personal secretary. Swiss-born Frédéric has a daughter named Johanna who is just a year older than Shania’s son Eja, who is now 17-years-old (Eja Lange was born August 12,2001). Thankfully Shania’s second husband is also well outside the realm of the music industry, he’s a Nestlé business executive. “Frederic Nicolas Thiebaud has been a true gift to me as a compassionate, understanding friend and over time, an amazing love has blossomed from this precious friendship,” Shania herself wrote about their relationship. “I describe what happened to Fred and me this way: we were two people who had been jettisoned from our lives as if we’d been shoved off the edge of a high cliff. Thankfully, we managed to grab onto each other on the way down in midair, and break each other’s fall,” Shania told Parade in a past interview with the publication. Here are some key facts about Shania’s current husband. Happy Valentine's Day everyone ❤️ Tag your valentine in the comments below for a chance to win matching Still The One baseball caps 😘 I'll choose a winner at random! How old is Frederic Thiebaud (Frederic Thiebaud Age)? Frederic is 48 years old and was born August 1, 1970? How old is Shania Twain? Shania is 53 years old (Born August 28, 1965) making her 5 years older than Frederic Thiebaud. What is the nationality of Frederic? Frederic was born in Switzerland and is Swiss. Does Frederic Thiebaud have any children? Frederic has one daughter from his first marriage (Johanna Thiebaud). What is Frederic’s Occupation/Career? He works as a business executive at Swiss based Nestle company. Where dies Frederic Thiebaud live? Frederic lives in the town of Corseaux, overlooking Lake Geneva, near Vevey in the canton of Vaud and shares the home with wife Shania Twain. Shania is a long time resident of Corseaux and her son was born there. We’re thrilled that Shania Twain found true love and real healing with Frédéric. The country music maven is currently on her Shania Twain Now Tour, which kicked off on May 3rd and runs through August 4th. The superstar’s highly-anticipated comeback album Now dropped last September. Get the latest Shania Twain Tour details here. If you plan to see Shania out on the road, be sure to keep an eye out for her handsome husband. Here he is with Shania at Stagecoach in April. Share this with other fans of the resilient and always entertaining Canadian songbird!